Here’s why Donald Trump is going out of his way to build bridges to Religious Right leaders: voter turnout. While Trump has done little to build a field operation to help get out the vote, he has courted conservative activists who, like Ted Cruz, believe that there are millions of conservative evangelicals who have not voted in the past, and that the candidate who can energize them will become president. Many strategists consider this to be a dubious claim, but Trump clearly feels a need to maximize turnout from this crucial part of the GOP base. 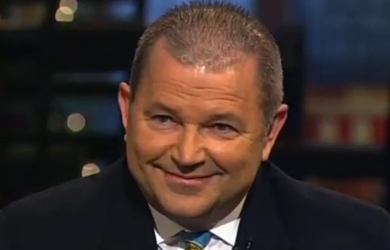 David Lane, the Christian-nationalist political operative who sponsored the event Trump and Marco Rubio attended recently in Florida, has reportedly raised nearly $10 million to conduct a church-based voter registration and GOTV drive in six target states. Lane’s organization, the American Renewal Project, will target Florida, Ohio, Pennsylvania, Virginia, North Carolina and Iowa. Lane has always been secretive about his donors, but as we have reported, the foundations of Texas fracking billionaires Dan and Ferris Wilks have been major donors to his operations. Strategists, including GOP operatives Wayne Hamilton and Dave Carney, will meet in Dallas this week to map out the strategy. Like most news about Lane’s operations, the story was first reported by Lane’s mouthpiece, David Brody at the Christian Broadcasting Network. Brody reports that in the weeks ahead, Trump and Mike Pence will be invited to speak to at least half a dozen similar “Pastors and Pews” events, which are designed to energize politically active conservative evangelical pastors. Lane, of course, is not running the only pro-Trump Religious Right GOTV effort. In a Monday morning email, Ralph Reed’s Faith and Freedom Coalition said it has started its 2016 ground campaign and is recruiting volunteers to knock on doors, distribute voter guides and make GOTV phone calls to generate “the largest conservative vote in American history.” The email starts with a recent quote from Jerry Falwell Jr. saying Donald Trump is a leader like Winston Churchill who can save America. 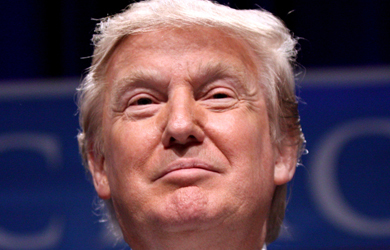 Donald Trump The ‘Moral, Principled’ Leader for Christian Nation Extremist David Lane?